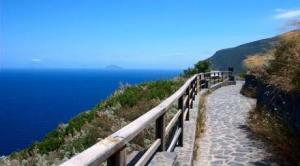 You are here: Home / destinations / Sailing in Sicily: Salina, island of many facets. 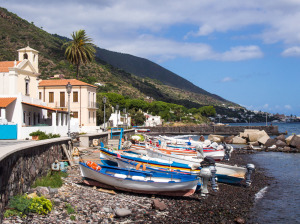 Sailing in Sicily: Salina, island of many facets. 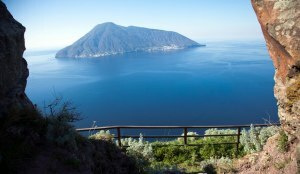 Sea, mountains, nature, mystery, culture, authenticity, good food, flavors … In a single word: Salina. 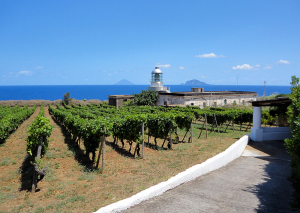 Everything is enclosed there, in the heart of the Aeolian Islands, in the green breath of the Sicilian Archipelago where in any part of the year there is something to be had. The seasons are not a limit for the land of the twin mountains, where every passing day transforms into opportunities to live. Salina is an island with a pristine sea and the point of passage of many peoples and cultures, each capable of leaving a story to tell and to be admired in the individual spaces located in the wide variety of Salina. Like the “Grotte dei Saraceni” in S. Marina Salina, caves dug in t he crumbly sand during the VII-VIII century to escape the incursions of marauders who came from the sea, that created a network of tunnels where people lived and prayed; places like the small lake of Lingua, where the Romans extracted salt and where, even today, you can watch a wide range of migratory birds resting in between flights such as flamingos and storks; or sacred sites such as the shrine of Our Lady of Terzito Valdichiesa, where one of the first Marian cults of the Western Roman Empire was created in the VI-VII century and that according to the stories saw the apparition of the Madonna, accompanied by the tinkle of a bell in 1622. A place even more sacred, if you think that before, in the same valley, the mystery religions of salvation of the goddess Demeter were practiced, as demonstrated by the findings of the rediscovered Greek settlement. And just a bit farther down, in ne arby Malfa was the site of another temple, not to mention the sacred Cave of S. Onofrio in Pollara. 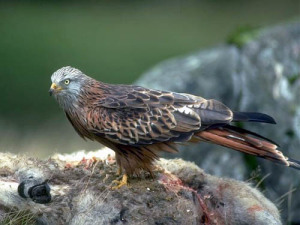 Buzzards, kestrels and hawks fly along valleys and crevasses. The mountain tops are doubtless rely the reign of these magnificent specimens and it should be remembered that they are all protected species. In part icular it is worth mentioning the Queen’s Hawk, which comes in the Aeolian Islands Archipelago after having completed a grueling journey that starts as far away as Madagascar. There are many paths that take you up to the protected nature reserve founded in the early 80s, from every part of the island, with a multiplicity of landscapes and nature due to its two mountains that offer many different sight and a variety of natural species and are so high as to create many micro-climates. You can admire the different types of ferns (which give the name to the highest mountain), larch, chestnut, long and impressive pine trees, some small spontaneous oak, mountain pine (i.e bushes) and strawberry trees. 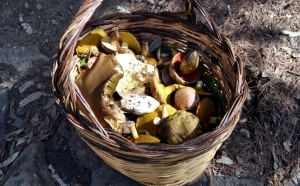 Inside a large underbrush, which has at least five hundred species, there are different varieties of mushrooms: pinaroli, prataioli, chiodini, rosellini and porcini. In this world so rich, if you are lucky, you can meet cute animals like the wild rabbit, the dormouse and among others more sporadic animals even hedgehogs and squirrels. Endemic plants and i nsects have been a source of study of some universities, like that of Ferrara. 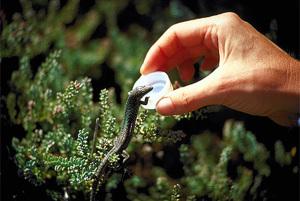 But one should not forget animals such as Podarcis raffonae, the native Aeolian lizard which lives only on some of the island’s rocks, one of this being the faraglione of Pollara. t during the Napoleonic wars the British troops were especially enchanted and soon found in the local Malvasia – a liquor as thick as honey – a worthy substitute of their beloved Cherry. It was like this that the prolific adventure of the shipping company of Salina started, with her genuine agricultural products and the tasty products of her wine cellars like the famous vineyard of Francis Fenech, whose art of producing wine and Malvasia has lasted already three generations, distributed everywhere. Among the products created by Francis Fenech, to be remember and tasted during any holiday in Salina are the Malvasia grappa, the dry Malvasia called “Maddalena” (in honor of his daughter) and “Disiato” (a Sicilian dialect word meaning “desired”) a black currants wine aged and prepared according to ancient Greek procedures and so special as to be sold in numbered bottles. 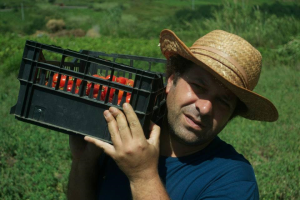 And after walking comfortably along the coast path that goes right from the sanctuary and then skirts Malfa, or the one that goes to Vallespina (from which you can admire the cliff above Pollara), you can see the work of farmers and try out the tasty result that are obtained with their work steeped in ancient techniques like Michele Oliva with his “seccagno” tomato – the original tomato of the Aeolian Islands that needs almost no water to grow, like you would expect to find in a vol canic island – and a range of derivative products like pickled tomatoes in oil, dried tomatoes and pâté, but also many vegetables that are grown in Salina and are prepared using ancient recipes. October, one of the most beautiful months of the year, where it is still possible to swim and sail and even go to the mountain to collect mushrooms. Every year we are witness a veritable triumph of taste, where typical dishes of the culinary tradition of the island are proudly displayed throughout the year. In fact, the lucky tasters, in addition to delighting their stomach, are always positively impressed by the aesthetic factor. 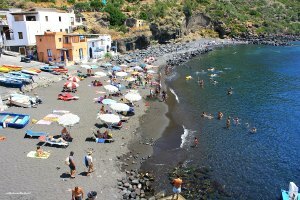 And then the island’s museums (migration, ethno-anthropological, wine, archaeological), many churches and shrines, as well as a cinematic tradition that began with “Volcano”, filmed largely at Rinella, where a square was later dedicated to the famous italian actress Anna Magnani. We must also remember the film “Il Postino”, the artistic epitaph of Massimo Troisi filmed in Pollara, to which each year an event is fully dedicated. And speaking of this, don’t miss during the summer the SalinaDocFest, an international festival of documentary film and also the Salina festival, where the research of sounds and musical traditions from around the world is celebrated. Salina is this and much more. Writers, artists and scientists such as Alexandre Dumas, Jean-Pierre Houel and Lazzaro Spallanzani have in the past praised this island. 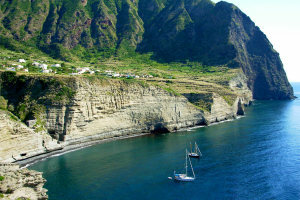 Salina can be reached by the fast ferries or hydrofoils going out from Milazzo and other coastal towns or cities, but the most enjoyable and common way to visit the island and experience in full her magic atmosphere is to rent a sailing boat, a catamaran or a gulet. There are many yacht charter and cabin charter companies who have their bases less than 20 nautical miles from Salina and offer their boat for a week or more to enjoy a sailing holiday in the Aeolian Islands, from small to big there is a vast choice to sail in the islands or even start a sailing adventure around Sicily, with Salina being just the first of many places that will make you love the Mediterranean sea. You can also join one of the many organized cruises selected for you among the best local trip organizers by I ntersailclub, with both bareboat and cabin charter options and some very interesting themed cruises: a yoga and sail themed week, an excursion themed cruise that will make you discover the beauty of the Nebrodi Mountains and the Aeolian islands or a cabin charter cruise for those wishing to do a sail detoxing week rich in natural foods and wellness. Now it is your turn o discover it!